As mentioned in my previous post, I have been feeling like crap this week. I got hit hard with this crazy cold that has me looking like Rudolph. I called out of work (which I never do. I have this weird American work ethic.) and sat in bed all day taking all kinds of things, but I decided that I needed something better, something stronger. When I read about this new juice bar, Fresh Take, that opened on Westchester off of Glebe Ave., I was instantly intrigued and excited because while I love Juices For Life, if I’m sick, I really don’t want to walk that far down. 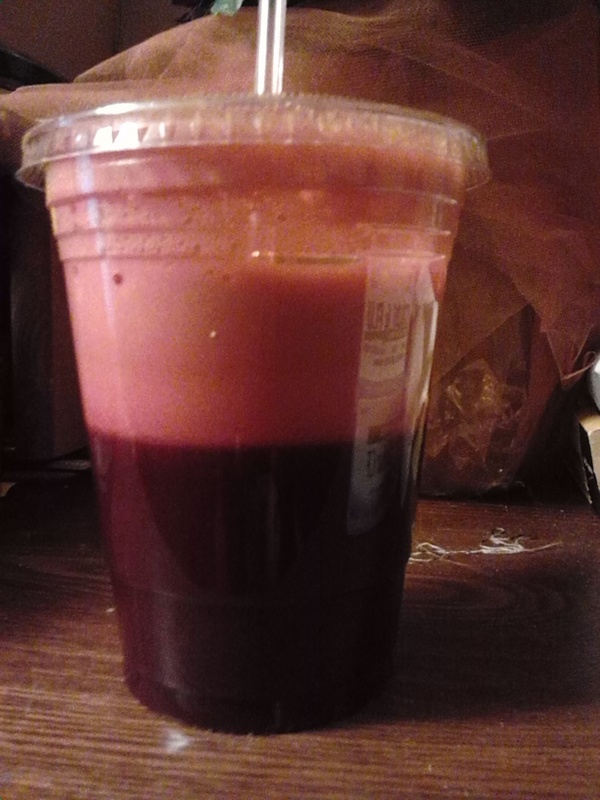 I ordered a Super Boost juice that has so many awesome ingredients, I don’t know if I can remember them all – ginger, parsley, pineapple, beets, apple?, celery? I honestly feel better already. To further emphasize how excited I am about this place, I’ll tell you that I’m writing this post before I’m even done with the damn juice. Plus, the woman working there (in addition to being super friendly and helpful) told me they’d be taking cards and food stamps soon. I have been waiting to have a healthy food option in Castle Hill close to the train, because don’t we deserve it? We hear all day long about how unhealthy the Bronx is and how obese or starving (what a contrast!) our residents are, but how many people are actually doing anything about it? Instead, we’re okay with another McDonald’s or Checkers opening up in our neighborhoods that really just take our money while destroying our bodies in the process. I wish the absolute best to Fresh Take and hope that people in the neighborhood appreciate how wonderful it is to have a place like this here. Mark Your Calendars: Bronx Coquito Trolley Crawl Jan.4, 2014!